Set after the postwar collapse of an interstellar empire, a young orphan girl embarks on a quest for violent retribution. Six years old when her mother was killed, Buttercup endured an unforgiving adolescence on the streets of her home city. She's scraped by ever since, always searching for the man responsible, knowing one day she'll find him. Reza Gard is back! He and Eustus Camden, fresh out of Marine Corps training at Quantico, find themselves assigned to a small Red Legion Marine detachment aboard the corvette CSS Leander. While the detachment commander is a young female lieutenant who wants to do her duty, but lives in terror of Stalin, the detachment's sadistic senior NCO, a convicted murderer who was given the chance for a pardon if he could survive a year in the Legion. And the other men and women of the detachment are little better: they are the dregs scraped from Confederation prisons, rapists, thieves, and malcontents. But somehow they must find a way to unite if they want to have the slimmest hope of surviving against the warriors of the Kreelan Empire. Author's Note: This story takes place during the six years between chapters 10 and 11 of CONFEDERATION (IN HER NAME, Book 5). Enjoy! I awake in what seems to be a test room. I have no memory. A voice from a walkie-talkie begins to give me instructions on how to survive, and as I follow them, the deeper into this horrible, twisted world I fall. This book is something that I wrote a long time ago for my Language Arts class. It's not particularly amazing, but it has some funny bits and has a decent storyline I believe. I am free to answer any questions you have and I hope you enjoy this story. P.S. This cover is not mine, I found it on the internet. No copyright Infringement intended. The story of John, who finds himself in a world he doesn't belong to. What does he have to go through? Can he make it back to the place where he is supposed to be? It was only supposed to be a minor military expedition and Kenneth Phon was only supposed to be an observer. But when the ambitions of powerful men turn to betrayal and murder, the largest human war fleet ever assembled finds itself leaderless and lost, thousands of light-years deep in the territory of a hostile alien empire. With the fleet surrounded and on the point of surrender, Kenneth Phon takes charge and leads them in their fight home through hundreds of enemy systems. The underachieving son of a wealthy shipbuilder, Ken must fight off more experienced commanders trying to undermine his authority and fractious mercenary ship captains who'd rather fight each other or turn pirate than cooperate. If he fails, not only will the fleet be destroyed, but the defenseless Earth will be sterilized by aliens bent on revenge. Cut off from everything she knows, Bee must face a terrifying new reality far beyond the edge of civilization. Without the help of Captain Anson or his crew, she'll have to make her own way forward against new enemies and unknown challenges. 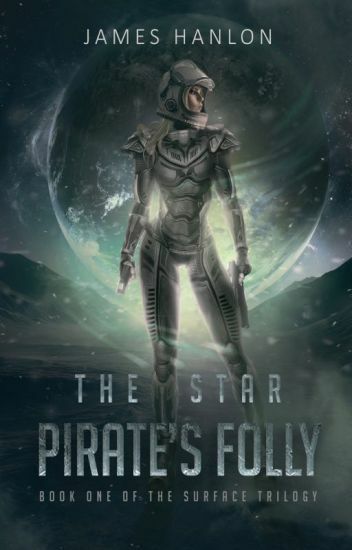 If she wants to survive, Bee will have to navigate treacherous rivalries, decades-long pirate feuds, and find the secret to a hidden treasure among the stars. What if your greatest fear was a lie? It's the year is 2130, and society is ruled by poverty, corruption, and surveillance. Citizens of the ISA are being taught to fear the Renegades, a group of brain-hijackers that supposedly take over the minds of innocent people. It's 17-year-old Ashley Cardry's job to interrogate the juvenile victims of the hijackings and figure out what's going on, no matter how impossible the task is. But an interrogation with the cocky, defiant, and handsome Daniel Fadhill changes that all in an instant. Before she knows it, Ashley's world is turned into a hotbed of instability. Everywhere she looks is another danger, and only one thing is for certain: nothing is what it seems to be. Click the "Start Reading" button to uncover the lies and mysteries of Instability.